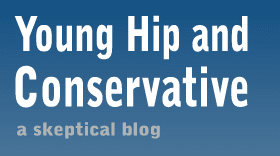 Young, Hip and Conservative: a skeptical blog: Are left wingers prepared to choose? This is exactly the problem I have regarding amnesty and so on. You can't run a "free for all" welfare and have an open door, I'd rather have an open door. Jake, I think it's a spam comment to promote your own blog.